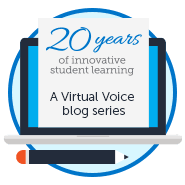 This post was written by Hindy, a middle school student at FLVS. My name is Hindy and I am in 8th grade. 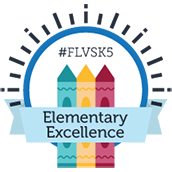 I have been in traditional private schools my entire life, so when my parents told me I would be switching to FLVS Flex for my math and science classes, it was a little scary! No one else in my school had ever done FLVS, so of course, I was a little nervous about it. Today, options have become a staple in nearly all aspects of life, so it’s really no surprise that educational options exist in the modern-day student’s life. But how did it get that way? I started working at Florida High School (as FLVS was called in its early days) in January of 2000.